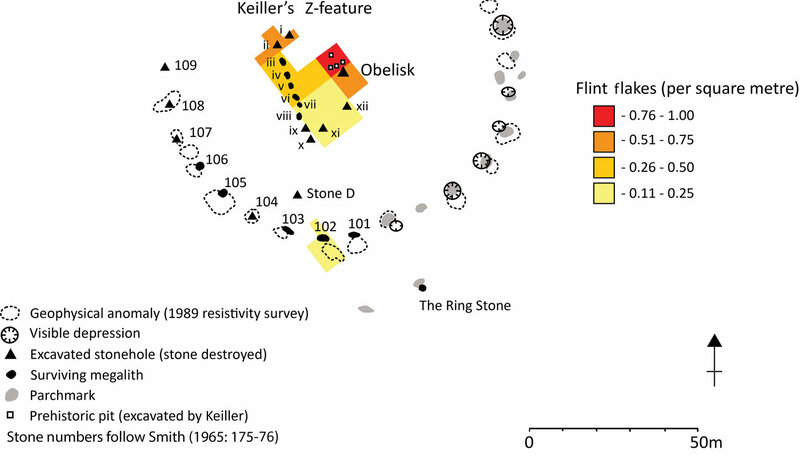 The Southern Inner Circle showing recovered lithic densities (figure by the authors). A trio of researchers from the University of Leicester and the University of Southampton has found evidence that suggests the Avebury monument might have started out as a single-dwelling home. In their paper published in Cambridge University's journal, Antiquity, Mark Gillings, Joshua Pollard and Kristian Strutt discuss their study of the Neolithic monument and what they found.